MR-3A was launched as an unmanned test flight at the last minute. Shepards flight was posponed which resulted in the Russians beating the United States into space. NASA decided to end the Mercury program after Mercury 9 resulting in the cancellation of this mission. After graduating from Annapolis, Shepard was assigned to the destroyer Cogswell which was stationed in the Pacific during World War II. He received his wings in 1947 after training at Corpus Christi, Texas, and Pensacola, Florida. His next assignment was with Fighter Squadron 42 at Norfolk, Virginia, and Jacksonville, Florida. He served several tours aboard aircraft carriers in the Mediterranean while with this squadron. In 1950, he attended the United States Navy Test Pilot School at Patuxent River, Maryland. After graduation, he participated in flight test work for the Navy. He has logged more than 8,000 hours flying time, which includes 3,700 hours in jet aircraft. Chosen by NASA as one of the original seven astronauts in Arpil, 1959. He became the first American to journey into space on May 5, 1961. Shepards spacecraft was launched on a ballistic trajectory suborbital flight which carried him to an altitude of 116 miles and 302 miles from the launch site. He was designated the Chief of the Astronaut Office in 1963 after an inner ear disorder grounded him. 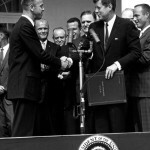 This new position gave him the responsibility for monitoring and coordinating all NASA activities involving astronauts. After surgery to correct the inner ear disorder Shepard was restored to full flight status in May 1969. 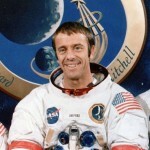 He was assigned the Commander of Apollo 14, and began his second spaceflight on January 31, 1971 along with crewmates Stu Roosa and Edgar Mitchell. Shepard and Mitchell collected over 100 pounds of lunar samples for return to Earth, more that any other Apollo mission. 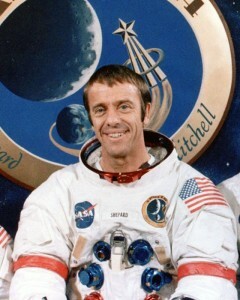 Shepard resumed his duties as Chief of the Astronaut Office after returning to Earth and remained in that role until he retired from NASA and the Navy on August 1, 1974. He held the rank of Rear Admiral in the Navy. 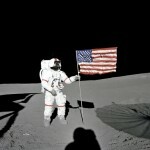 He was involved in private business activities in Houston that had made him a millionaire even before he had left NASA. He also served as the President of the Mercury Seven Foundation, a non-profit organization which provides college science scholarships for deserving students.